Natural Gas is often sourced a long distance from consumers. For shorter distances (less than 3000 km), transport by pipeline is generally used. Over longer distances, it is more economical to transform the Natural Gas into Liquefied Natural Gas (LNG) for transport. 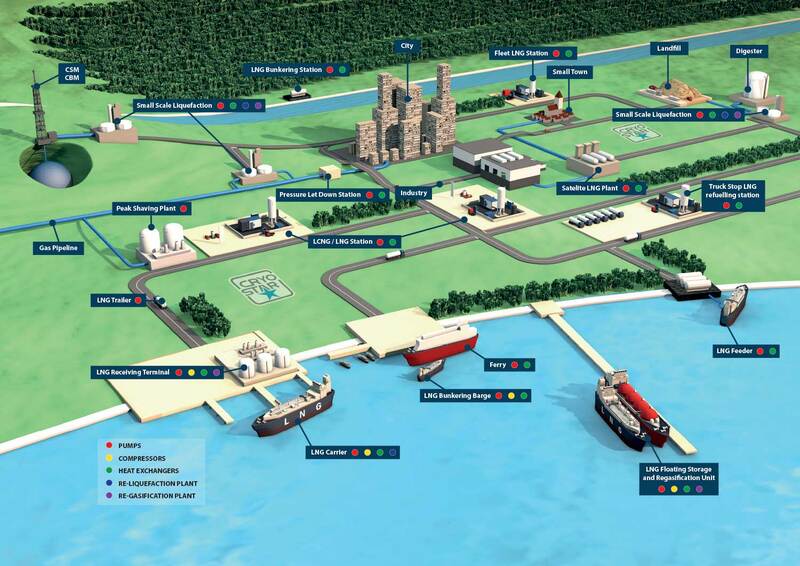 One cubic meter of LNG is equivalent to 600 m3 of Natural Gas (LNG) for transport. 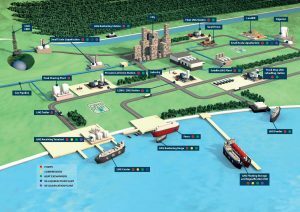 One cubic meter of LNG is equivalent to 600 m3 of Natural Gas, making the volume to be transported much more attractive. Click on picture to enlarge the LNG supply chain.